Another month has come & gone and so have a number of toy galleries and in depth reviews by our Photo & Content staff! This month we took users on a trip that ranged from 1990s’ Metal Hero classic Tokkei Winspector to today’s Power Rangers Dino Charge! 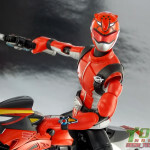 We also made a pair of gallery 2.0 detours with Tokumei Sentai Go-Busters! As with every month, we wanted to give you a variety of quality photos & reviews to enjoy. And we have much much more coming up for this month! It’s been over 1 month since we began but Toku Toy Box is finally coming to an end! This year has been possibly our biggest yet and we really tried to pull out all the stops in bringing you as many toy galleries as possible, with the biggest prize packs we could afford to offer. We’ve run the spectrum of the last 3 decades worth of tokusatsu to bring you a unique mix of toys you’ve never seen and some familiar favorites along the way. Please take a moment to check out all 16 galleries and be sure to leave a post in them if you haven’t done so already! Every time you make a relevant (non-spam) post in a Toku Toy Box thread you’re automatically entered in for a chance to win 1 of 4 amazing prize packs! If you need a refresher on how Toku Toy Box works as well as an overview of the official rules for the giveaway then please click “Discuss on the TokuNation Forums” at the bottom of this post to be taken to our original announcement thread for this years giveaway. Good luck to all who entered this year! Winners will be revealed tonight at 12:00 AM/Midnight EST! S.H. Figuarts Red Buster Gallery 2.0 – FINAL Toku Toy Box Entry! We’ve come to the end folks! With only one day left before we announce the winner of Toku Toy Box we’re officially posting our last gallery for the competition today! Tomorrow we’ll be featuring a roundup of all eligible entries for this years giveaway. But for now we’re going to take a look at our final entry, S.H. Figuarts Red Buster Gallery 2.0! 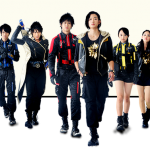 While Tokumei Sentai Go-Busters was not fondly looked upon by many fans it’s still a personal favorite of mine. Much like the series many people were turned off by the Red Buster figuart. Admittedly he’s not perfect, thanks to the limited upper arm movement and especially difficult to swap hands. But Red Buster more than captures the look of it’s on screen counterpart and includes a wealth of accessories like the Sougan Blade, Ichigan Buster, & the combined Ichigan Buster Special Buster Mode! While imperfect Red Buster is still an admirable release that goes for some pretty rock bottom prices. Anyone looking to fill out their Super Sentai displays should definitely pick this one up! We’ve attached a selection of images to this post but we’ve assembled a full review and over 60 images of S.H. Figuarts Red Buster after the jump. 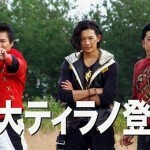 Just click “Discuss on the TokuNation Forums” at the bottom of this page to see them all! And remember this is your FINAL chance to qualify for the Toku Toy Box Giveaway! That means all you have to do is post something relevant to the conversation and you’re entered for a chance to win! The latest teaser for the upcoming special “Kyoryuger VS Go-Busters” is now online! 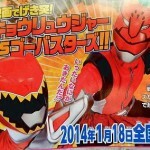 This gives us our first look at returning Dino Heroes, TyrannoRanger and AbaRed! EDIT: Neo Geilton confirmed via new image, Grifforzer still rumored to appear! Hiroya Matsumoto WILL return as Jin/Beet Buster! Daizyujin & AbarenOh will appear and team-up with Kyoryuzin! 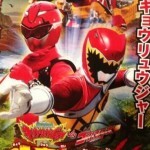 The Go-busters, like Wizard before them, will co-pilot Kyoryuzin with the Kyoryugers! Previously confirmed for a physical role in the film is Yuta Mochizuki/Tyranno Ranger while the other Zyurangers minus Burai will be doing voice overs only. Koichiro Nishi/AbaRed and Sho Tomita/AbareBlue have also been confirmed to return physically on screen. Zyuden Sentai Kyoryuger vs Go-Busters Great Dinosaur Battle! Farewell My Friends premiere’s January 18, 2014! The official Toei Youtube channel has just uploaded a new video to promote forthcoming Zyuden Sentai Kyoryuger DVD specials that will be included in the February 2014 issue of TV magazine. Amongst the footage is a very brief preview of the forthcoming Zyuden Sentai Kyoryuger vs. Go-Busters movie, as it shows the Go-Busters facing off against the Deboss Legion’s Zorima soliders! The first of the DVD specials will feature Debo Kibishydesu and Luckyuro, looking at footage from the previous entries in the Super Sentai vs. series. Meanwhile the second one, Zyuden Sentai Kyoryuger vs. Super Sentai vs. Super Hero, Shunshun Gaburinpic, will look at battles between different super hero teams. 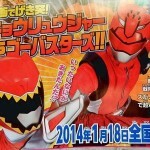 Zyuden Sentai Kyoryuger vs. Go-Busters will premiere in Japanese theaters on January 18th.